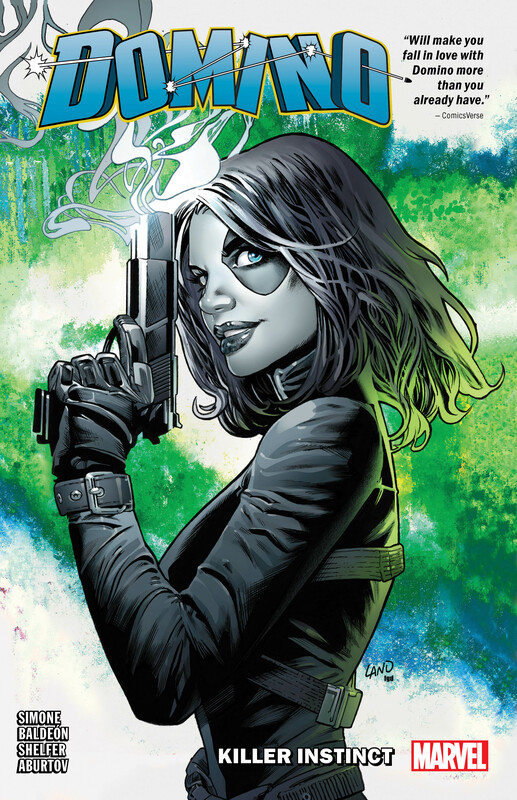 Collects Domino (2018) #1-6. Impossible targets call for impossible shots — and no one can make them like Domino! Marvel’s #1 soldier of fortune is back in an explosive new series! 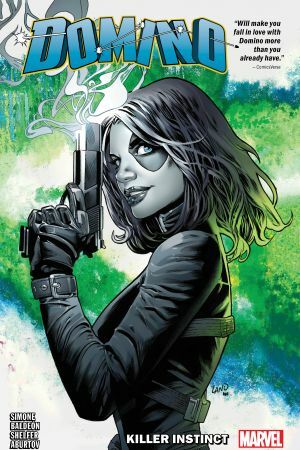 The product of a failed Super-Soldier Program, Neena Thurman always made her own luck as the sharpshooting mercenary known as Domino…but what happens when her own powers betray her? The hunter becomes the hunted as every merc in the game smells blood in the water — and Domino’s formerly charmed life is turned upside down! But is Shang-Chi, Master of Kung Fu, about to get lucky? If he plays his cards right, he is! Plus: Secrets from the past! Amadeus Cho lends a hand! 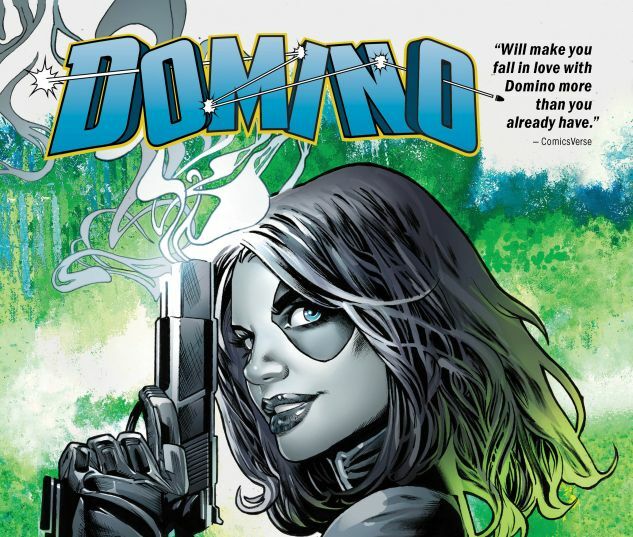 And who is Domino’s evil counterpart? Project Armageddon may just live up to its name!